JUST For Good 3 has commenced! Just over 300 applicants wrote in to apply for the 3rd cycle of JUST For Good. 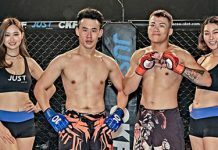 Both Enoch Chan and Lawrence Li are Hong Kongers that pack a punch. 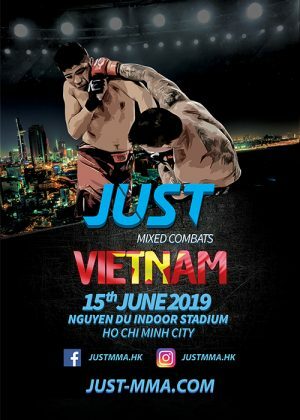 Both sporting stand up experience fighting in Muay Thai and Kickboxing, took on this challenge to broaden their skillset and tackle the opportunities on the ground. Lawrence is raising money for The Samaritans Hong Kong 撒瑪利亞會: https://samaritans.org.hk/servic…/24-hour-telephone-hotline/ Mention “Lawrence Li” in comments. 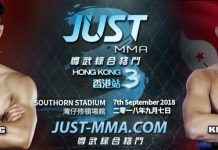 Next articleGet Ready For JUST MMA – Hong Kong 3!